Vijayawada is the third largest city of Andhra Pradesh. The main river that a flow there is river Krishna .Towards the northern bank of river Krishna the city of Vijayawada is strategically located charmingly and this river makes the city fully fertile. Vijayawada is a wonderful tourist destination. For the coastal region of Andhra Pradesh the city of Vijayawada is said to be the commercial hub. In the present times this city has become one of the most popular business centers in South India. Other name for this city is “Bezawada” and it is bounded three sides by the Indrakiladri Hills. It is not only famous for its spicy south Indian food but it is also a very flourishing city commercially, industrially and culturally. In this article let us see more about the popular tourist spots in Vijayawada. On the eastern side of the town this beautiful church is located which is very attractive and beautiful. It is built on a hillock. From the various countries the believers of Christianity comes to visit this spiritual centre. In 1855 this wonderful lake with three canals that run through the city was built. But later in 1955 it was widely reconstructed. This is located on the outskirts of the city. It has the Venetian appearance and has a very wonderful view. In Andhra Pradesh it has turned the Krishna delta into the richest granary. At the entrance point of the city there is an attractive horticulture park which has been named as the Rajiv Gandhi Park in the remembrance of the former Prime Minister Late Rajiv Gandhi. 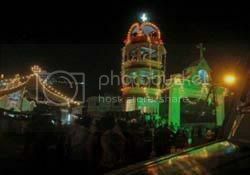 It has been established by the Municipal Corporation of Vijayawada. It is very beautiful and has a mini zoo and water fountain to beautify it. 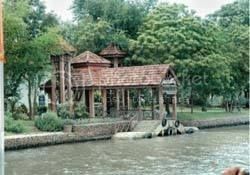 It welcomes everyone who enters the city and this park is one of the most famous spot for tourists. The Bhawani Island is the most favorite picnic spot for everyone who visits the city of Vijayawada. It is a marvelous Island with scenic beauty to catch your imagination. It is in the upstream and whoever visits Vijayawada should never forget to take a trip to this most beautiful and marvelous island. This Hill was created with seven stupas on it in the remembrance of Mahatma Gandhi, our National leader. It is about 500ft in height measured from the ground. Each stupa measured 52 ft. This hill was inaugurated in the year 1968 by the former president of India, Dr Zakir Hussain. There is a Gandhi Memorial Library also at this tourist attraction and you will be able to see a sound and light show about the life of Mahatma Gandhi. This historical place attracts many travelers. Manalgiri, Kuchipudi and Gudivada are some of the wonderful neighborhood places near Vijayawada. 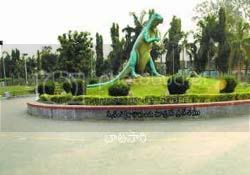 It is a very popular village that is located 60 km away from the city of Vijayawada. It is very famous for its artistic divine. Mr. Siddhendra Yogi, who is the creator of the Kuchipudi classical dance form has been born in this village. In the memory of this Yogi the famous dance and musical school have been started. Almost 12 Km away from the city of Vijayawada this wonderful village is located. It is popular for its fine cotton fabrics and checked and stripped fabrics. It is ultimately a craft village and many historical temples are there. 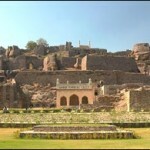 It is almost 45 km away from Vijayawada and this ancient place has the existent history of 2000 years. In this wonderful place also you can find many historical temples. 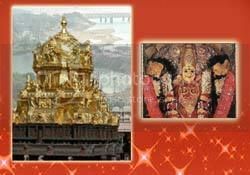 Vijayawada is one of the most flourishing tourist destinations and it is a place well organized with transportation. You can reach to this city by road, air and train. There you can find many historical temples with artistic works like paintings. I am Susan Hannan from Exams Key; it gives 100% 200-047 Test Questions exams. Let’s take benefit of 3101 Test Questions Exams material efficiently and get guaranteed success. Check out free demo of all certifications Exam.